Lin Bin, President of Xiaomi, posted on Weibo that the Chinese smartphone maker is working to release a smartphone with a 48-megapixel camera. Soon afterward, MIUI confirmed an upcoming smartphone that would run the MIUI 10 system, which would be based on Android 9 Pie. Xiaomi’s smartphone cameras have never been their strong point; with this new teaser, they seem to be moving in on this issue. 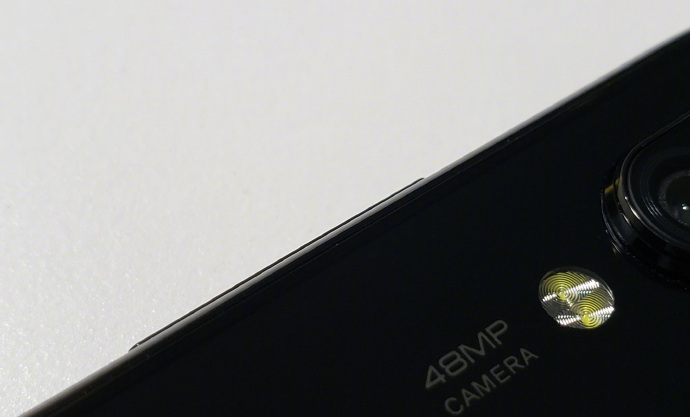 It’s as yet unclear how many lenses the 48MP camera will contain, but based on the photo teased by Lin, it’s right next to a volume rocker, which would place it at the top left corner on the back of the phone. The exact model of this smartphone is another matter of mystery- rumor has it that it’s the Mi 9, but it’s no sure bet yet. The mystery phone could feature either the Sony IMX586 48-megapixel sensor (which was announced in July) or the Samsung ISOCELL Bright GM1 48-megapixel sensor (announced in October). Sony reportedly began shipping the samples of the IMX586 in September, whereas the South Korean company has kicked off mass production of the ISOCELL GM1. If all goes well, Xiaomi could well jump to the front of the camera race with the world’s first 48MP smartphone camera, overtaking Nokia’s record 41MP on the Lumia 1020, or more recently, Huawei’s Mate20 Pro and P20 Pro offerings, which feature 40MP sensors.